John McCain was 71 years old. If elected president, he would become the oldest person to assume that office. In the eyes of the American public and his rivals, the status of his health was paramount. 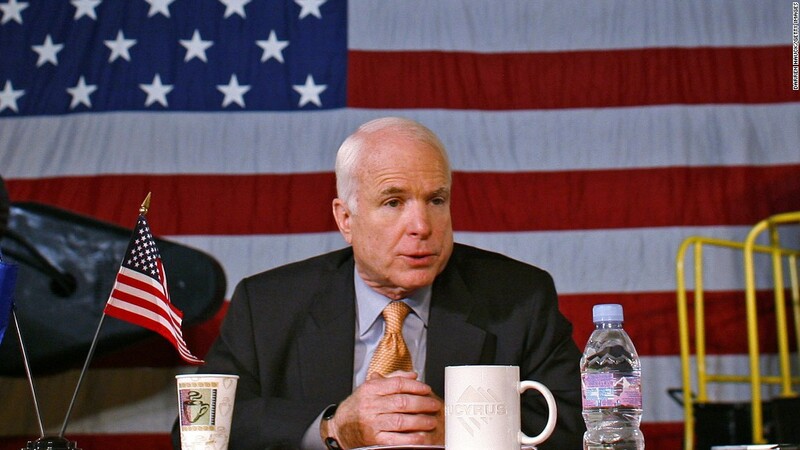 That is why, on May 23, 2008, Sen. McCain invited about 20 reporters to the Copperwynd Resort and Club in Fountain Hills, Arizona, to review 1,173 pages of his medical records and interview his doctors. The reporters found a history of melanoma and degenerative arthritis, but nothing to suggest that he could not physically handle the rigors of the presidency. For many political operatives, medical experts and reporters, McCain's invitation set a gold standard for presidential aspirants' transparency on health issues. "McCain was exemplary," David Axelrod, the chief strategist for President Barack Obama's presidential campaigns, told CNNMoney. "As an older candidate who had a history of melanoma, he went the extra mile to reassure by releasing voluminous records." Marc Siegel, a medical correspondent for Fox News who was among the 20 journalists in Phoenix, wrote in a Wall Street Journal op-ed Monday that it marked "the first time a real standard was superimposed" for presidential candidates. Eight years later, that standard seems naively idealistic. With less than two months until election day, the Republican and Democratic presidential nominees have released just 12 paragraphs of doctors' statements between them, and neither has agreed to a protective press pool that can monitor the minute-by-minute activities of their campaigns. The lack of transparency from both candidates has come into sharp relief following Hillary Clinton's wobbly, stumbling exit from Sunday's September 11 commemoration, the lack of press access following that event, and the subsequent announcement that she had been suffering from pneumonia since Friday. "Antibiotics can take care of pneumonia," Axelrod wrote on Twitter. "What's the cure for an unhealthy penchant for privacy that repeatedly creates unnecessary problems?" The Clinton campaign is now indicating that it will take greater steps toward transparency. On Monday, spokesperson Brian Fallon said they would release additional medical information about the candidate this week, and said that Clinton, 68, had "no other undisclosed condition." Clinton's critics say the Democratic nominee has not met the standard set by her own husband. In 1992, Bill Clinton released a history of his health and then allowed his doctors to do interviews with the national media. "Surely Bill Clinton didn't enjoy having his hemorrhoids and weight fluctuation discussed in the media, but it was one day of chuckling, and then it pretty much put the issue of his health to bed. It worked for him," conservative writer Jim Geraghty said in an article for National Review. "Hillary Clinton's campaign does not appear likely to give anything beyond the letter from [her doctor]. Why is Hillary Clinton unwilling to meet the standard of disclosure that Bill Clinton set?" Neither Obama nor Mitt Romney met the Bill Clinton standard, let alone the McCain standard. In both 2008 and 2012, Obama released summary letters from his doctors stating his health status, and Romney did the same in 2012. Donald Trump, who is 70 years old, also has his critics. Whereas Clinton's doctor released two pages of information about her health -- including her hypothyroidism, deep vein thrombosis, and a 2012 concussion -- Trump's doctor released just four paragraphs concluding with the dubious claim that Trump would be "the healthiest individual ever elected to the presidency." Since Sunday, the Trump campaign has been trying to hit Clinton on her secrecy about her health and her pneumonia, with campaign manager Kellyanne Conway tweeting Monday that "lack of transparency is an overarching theme." Many reporters responded by noting that Trump has yet to release his tax returns and often fails to answer simple questions about his business record and policy positions. "This is rich," Jonathan Martin, the New York Times' national political correspondent, tweeted in response to Conway. "Trump won't release his tax returns, ignores Qs about if he has given his own $ to charity." "I would like to see Mr. Trump's taxes, as I would have been able to in any previous campaign for last 30+ years," tweeted Nicholas Confessore, a Times political reporter. But those same reporters are pushing for greater transparency from Clinton as well. "Like any decent person, I hope Clinton feels better. The lack of further information is disquieting, though, especially given that video," Confessore wrote, following the video of Clinton's stumble on Sunday. Siegel, the Fox News medical correspondent, argues that both Clinton and Trump should be called upon to meet the McCain standard. "A new standard was set then, and it should be followed now," Siegel wrote in his Wall Street Journal op-ed on Monday. "I call it the McCain Protocol: If you are 70 or over (Mr. Trump) or have a health history (Mrs. Clinton), records should be made available by the candidate for a private viewing of select journalists or perhaps an independent board of physicians. This transparency may be excessive, but consistency would demand that it be part of the vetting process for our highest public office."